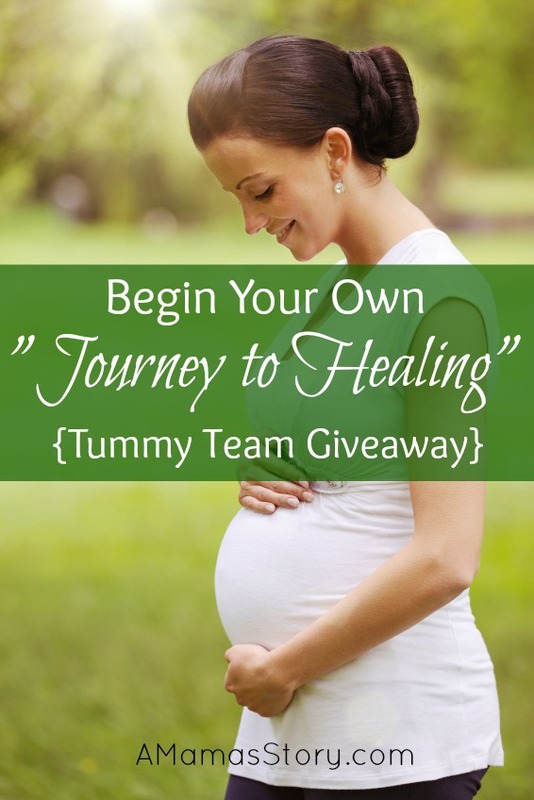 I’m ultra-excited about this giveaway, sponsored by The Tummy Team! If you’re only now joining us, you can read my journey through the six-week prenatal program by visiting my Intro, Week 1, Halfway Update, and my thoughts after I wrapped up the six weeks. Even though I’ve completed the prenatal program, I’ve continued the exercises and look forward to how they’ll impact my upcoming birth. When I started, I was skeptical but after feeling improvements almost immediately, I was sold. Kelly and her team have put together a fantastic rehabilitation plan for women living with Diastasis Recti. In fact, I noticed such a remarkable improvement in how I feel that I plan to continue with the online 8 week Core Foundations after the birth. As stated on The Tummy Team site, do you have any of the following symptoms or wonder if Diastasis Recti is affecting you? a weak core and protruding tummy? have a chronically “slumped’ posture? occasionally have “leakage issues” when you cough, sneeze or jump? have a weak spot at your belly button that pushes out when you try to do a crunch? trouble performing everyday activities without pain or fatigue? Visit The Tummy Team where you can learn how to test yourself and learn more about signs of DR. I could identify with most everything I read, and after completing the prenatal program, feel sure that DR was wreaking havoc on my body. I had suspicions for a few years but spent too long in denial. To help us celebrate our anniversary of building community, The Tummy Team is generously sponsoring a giveaway in which two winners will be able to choose between the online Prenatal Core Training 6-week Online Program or the Core Foundations 8-week Online Training Program!! **Abdominal splint is not included and will need to be purchased. I’m pretty sure I have this issue since I developed a hernia after having my son and I seem to have a gap in my muscles. I have a diastasis…I am hoping and praying to heal it before another pregnancy…I’m worried about making it worse with exercise as I’m trying to lose weight. I would love help with this! I think I do have it and I also just found out I was pregnant, so I think it’s important to work on healing and not doing further damage. I’m sure I have this. I’m pretty thin but my tummy always pouches out especially at night after I eat dinner. It sticks out at the top which is really weird. I’m preggo with my 4th baby, and I’ve known about diastasis recti for a while but always thought it wasn’t something I had an issue with until this pregnancy and reading your other posts about it. I have this place on my stomach that burns and hurts daily… it did it with baby #3 too, plus the area around my belly button feels very weak… and I think it’s all part of the diastasis recti. When I asked my doctor about it, he said most pregnant women had DR, but there was nothing that could be done besides surgery. I’d LOVE, LOVE, LOVE to do this program and come back to show him there actually is another option! My Diastesis needs help healing since my last birth seven months ago. I would so appreciate this prize. Thanks for the opportunity. I have a hernia and distasis recti. I saw on their website that it will specifically help both of those conditions! Since I am not done having kids (Lord willing) I can’t have surgery to fix it, so I would love to win! Being skinny and then carrying twins to full-term and then a singleton baby almost 2 weeks past his EDD, my stomach is in need of some help! I know I have a three finger diastasis. I would like to think the tummy team could help me. I’m so sick of how I look after having four babies. I would love this, it would be a great help! I have had 8 children and have been trying to diy heal my diastasis since my last baby. Would love some help! I know I have it. After giving birth to 6 kiddos, I can now stick my whole fist in the muscle gap. Ugh. Having trained as a midwife, I know how prevalent DR is for mama’s. I am excited to find a good resource to share with other mamas who have this problem. I aso know that I have it. currently pregnant with baby number two, but am not planning any more babies, and would love to fix my problem for good! Just had my 3rd baby and would LOVE to do the 8-week program! I was born with DR and an umbilical hernia. I found out recently that there are better exercises for ab work than crunches and sit-ups for people with this. I’m currently pregnant and m anxious to gt my pre-baby body back. I think it would be amazing to win so I can help my younger daughter who also was born with DR and an umbilical hernia as she gets older too. Thank you for the opportunity! I believe I have a DR, and I need motivation and instruction to heal it. I want my body to be in good shape for another pregnancy should the Lord bless us with more children! I have been struggling with DR since my second baby (almost ready to have #4) and didn’t find out what it was until your blog!!! TY! My Dr is very unfamiliar with itand says that there is nothing we can do until I have this baby. So need to contact The Tummy Team! I also have the hiatal hernia…ugh! The pain from that was what started me researching!! Ibreally thought I was dying! I didn’t think I had diastasis recti, until I tried the test on the Tummy Team site. Now I know I have at least some trouble with DR. I’m pregnant with our fourth child now, but would love to try the exercises after baby is born. I’d love to heal my stomach before my next child is due. Would love to have an easier labor! Oh, yes! I definitely have diastasis recti! My midwives confirmed it after my first boy was born and then a further separation after my second. It has come together a little, but not very much and it has been 6 months… I should really do some work to rehabilitate it. Just gave birth to baby #5! Would love to get some much needed help with my DR! Thanks! I’m actually entering for a friend who suffers from DR. She has been such an encouraging support for me through my journey back to health, that I’d love to win this for her to thank her for all that she’s done for me! I have diastasis STILL ( 7 months PP), and am just now starting the healing process. This program would be such a blessing! After 6 pregnancies, I think I may have this issue…. This rehab would be such a blessing. After my 6 beautiful babies, aging, weight gain, and back problems I have no doubt that this is my issue! I truly hooe thst I win! I think I may have a DR and want to improve my core before I get pregnant. I know that my core is weak and I want to work on it now.